NEOSUN PowerHub is the lowest cost source of clean and reliable off-grid power for remote locations. 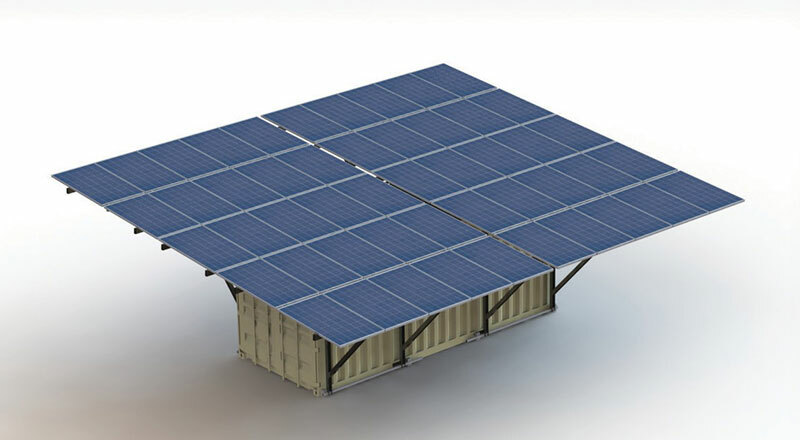 It is a stand-alone, turn-key system that combines solar energy production with integrated energy storage in a readily deployable and easily movable form that's ideal for remote power applications. The system is entirely self-powered, removing the need for fuel shipments. Once set up, the system operates autonomously, with the capability of remote monitoring and control. 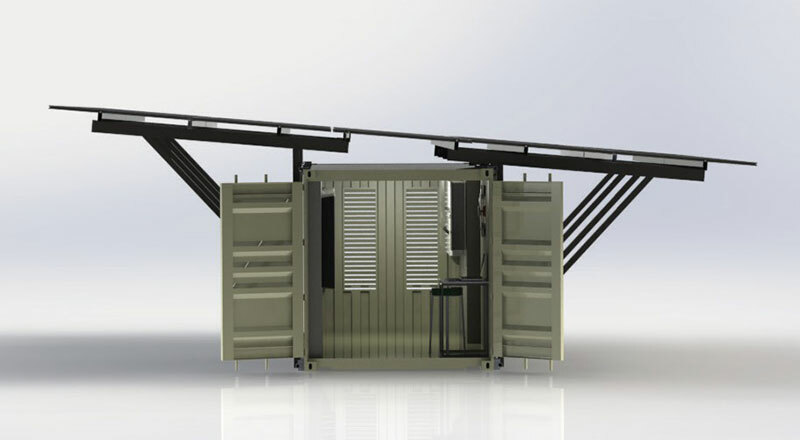 PowerHub is delivered in a shipping container that includes solar photovoltaic (PV) arrays, solar mounting components, batteries, an intelligent control system, and the supporting electronics to supply energy. It is a Plug & Play system. 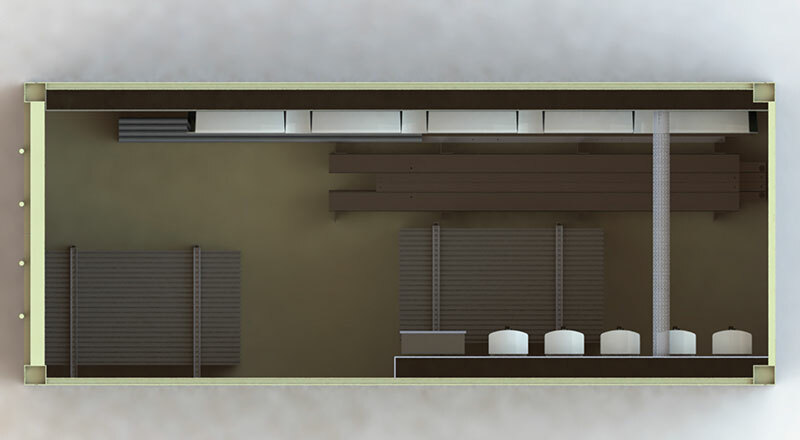 The entire system can be assembled and fully operational in less than two hours by two people. 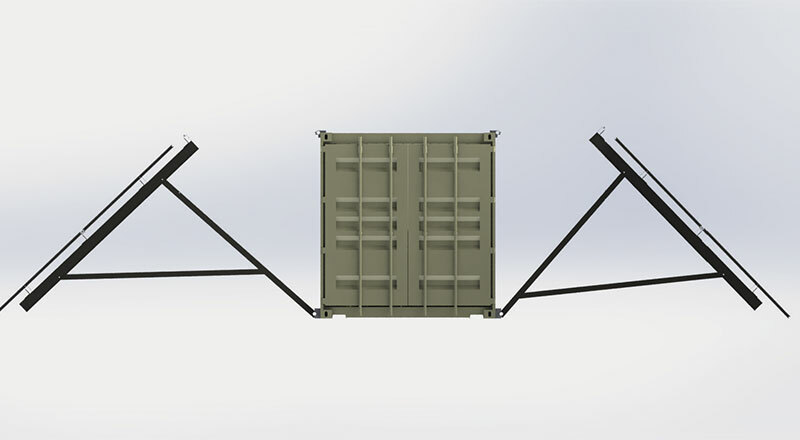 It is configurable to fit specific needs and comes in stackable 10 kW or 50 kW options. It's capable of producing up to 70 kWh or 110 kWh of energy per day, respectively. Customized solutions can be designed upon request. NEOSUN PowerHub is powered entirely by solar and batteries. The solar modules produce energy during the day, storing the excess energy in the batteries. In the evening, batteries discharge to provide energy to the site. The inverters provide a 380-400V three phase output to a site electrical panel or 220-240V single phase to standard electrical outlets. The design architecture provides redundancy to ensure continuous operation. The battery system stores excess power and, along with the solar panels, provides balanced energy. The system is entirely self-powered, removing the need for costly fuel shipments. Perfect solution for remote power applications. PowerHub includes best-in-class components. It is designed to withstand a wide range of extreme weather conditions. Redundancy of components ensures continuous operation. PowerHub is easily transported to the service area in a single 20-foot shipping container by plane, truck or ship. It is pre-wired and preconfigured, such that two people can assemble the system within two hours. PowerHub is highly modular and scalable. You can network multiple PowerHub systems to meet the needs of a site. PowerHub operates continuously without a fuel re-supply and requires minimal maintenance. Once assembled, PowerHub operates independently, so on-site personnel can focus on the mission. It is monitored and controlled both through an on-site interface and remotely. It generates less than 50dB noise; there are no moving parts during operation. The system results in minimal disturbances to the local environment.